Is anyone surprised that the Chicago Bulls lost their first game since the news of Derrick Rose possibly out for the season? The Charlotte Hornets beat them 98-86 in a very important win for their playoff hopes and aspirations, making the most of a team that can’t afford to let this injury linger over them for too long. The Eastern conference isn’t the West, but the Bulls, especially if Rose isn’t going to be there for them in the playoffs, need as much home court advantage as they can get. They were on a roll lately, climbing to third in the East, but one loss and the overall morale situation among the players can easily turn into a slippery slope that changes things dramatically for them. Since the NBA shifted to a 16-team playoff format for the 1983-84 season, only one of the last 31 champions has been seeded outside the top three. Except for Pau Gasol, scoring 25 points and grabbing 11 rebounds to post yet another double double, the Bulls got nothing from their starters, combining to score only 30 points on 10-of-30 from the field. Aaron Brooks filled in for Rose as the starting point guard, scoring 12 points. The energy that works well on most occasions when he comes off the bench didn’t really translate well in the starting role. Many actually expected Kirk Hinrich (8 points) to be the one that grabs the starting job. With Rose out, the Bulls need the All-Star version of Jimmy Butler more than ever. Butler scored 14 points that went with 7 rebounds and 5 assists but lacked the explosiveness and energy we often see from him on his better appearances. It might have had something to do with what Bulls players are feeling; their hopes and dreams shattered in the same way they’ve been in the last few years. Luol Deng said he felt like crying when he heard the news, and he’s not even part of the team anymore. The Hornets don’t really care about Rose playing or not. They’re trying to make it into the playoffs, still recovering from that awful start which had a lot to do with the arrival of Lance Stephenson. Moving him to the bench or his absences have been beneficial for the Hornets, tied with the Brooklyn Nets for the 8th spot in the East. Stephenson again was one of the worst players on the floor, scoring 8 points on 4-of-11 from the field, although his defense came in handy. 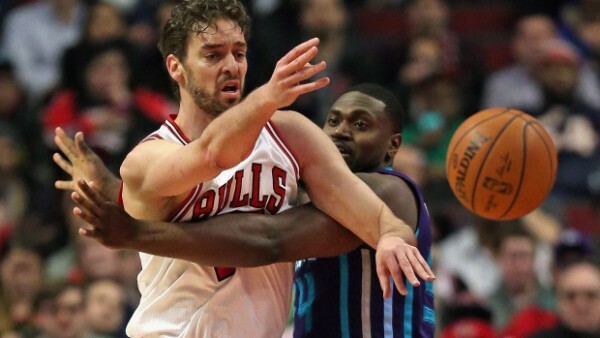 Michael Kidd-Gilchrist scored 18 points and grabbed 12 rebounds to lead the Hornets to their first win over the Bulls this season, losing at home by 7 points in the previous encounter. Mo Williams, filling in for another injures starting point guard (Kemba Walker) scored 17 points while Al Jefferson handled the Bulls’ offensive line quite nicely, scoring 16 points and grabbing 7 rebounds. Brian Roberts helped from the bench with 11 points. The Bulls have been able to regroup and come back quite strongly after Rose injuries, which is almost a way of life for some of the players on this team. But following through on their initial goals? That remains extremely difficult, and it’ll take more than just shaking off their feelings of doom and gloom. Tom Thibodeau is something of an expert in pushing players from underdog positions, but just how far can he push them this time?